Assisted living residents in San Antonio pay slightly more here in comparison to the national average, according to the 2015 Genworth Cost of Care Survey. Assisted living prices annually check in at $47,100, which is slightly more than the nationwide average annual cost of $43,200. This cost translates to a monthly charge of $3,925 and a daily charge of $129. The cost of assisted living makes the services a competitively priced alternative for seniors that don’t want to continue to keep tabs on a home yet do not need skilled nursing care. San Antonio assisted living is just a bit higher than home health care services, which annually cost $45,760. The price tag also represents a potentially substantial savings for nursing home care, considering the annual average cost for that particular service is $52,000 for a semi-private room and $73,000 for a fully private room. What is San Antonio assisted living like? While each assisted living facility operates with the endgame of providing a secure and dignified living experience to each of its residents, they bring about this endgame in different manners. The distinctive characteristics in this regard are somewhat dictated by the personality and culture of the neighborhood they are located, from the historic Midtown area to the bedroom communities that are found within the city’s Uptown Central area. Typically, these different characteristics particularly manifest themselves through a series of a la carte services in addition to services that are included within the residents’ monthly fees. Private living quarters. While they can be as large as a multi-bedroom space the size of a small house, they are usually a studio or 1-bedroom apartment. Social and recreational activities. Some of these activities include movie nights, game nights, holiday parties, and field trips to points of interest such as the River Walk and the McNay Art Museum. The Texas Veterans Commission provides help to the state’s numerous veterans who need guidance figuring out the VA benefits system. 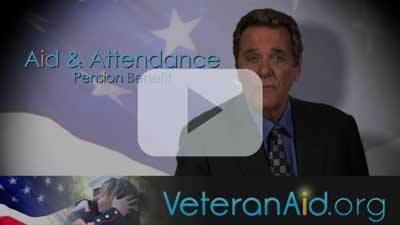 Additionally, veterans can pay it forward by volunteering to help fellow retired vets determine their benefits. San Antonio is famously home to The Alamo; one of the most famous battle sites in the country. The city is also home to several other points of interest that veterans can enjoy, such as the Army Medical Department Museum on Fort Sam Houston and the Hangar 9/Edward H. White Museum, touted as the country’s oldest museum devoted to the Air Force.